YouTube has announced a $10 price hike for its YouTube TV streaming service, bringing the new monthly cost to $49.99. In addition, the company has also added a few new channels from Discovery Networks. The $49.99 per month price is now in effect for new members. Likewise, the new pricing will go into effect for existing members in their billing cycle after May 13. Meanwhile, customers who are billed for the service through Apple will be charged $54.99 per month. YouTube TV initially launched with a subscription fee of $34.99 per month before raising its price to $39.99 per month in March of last year. 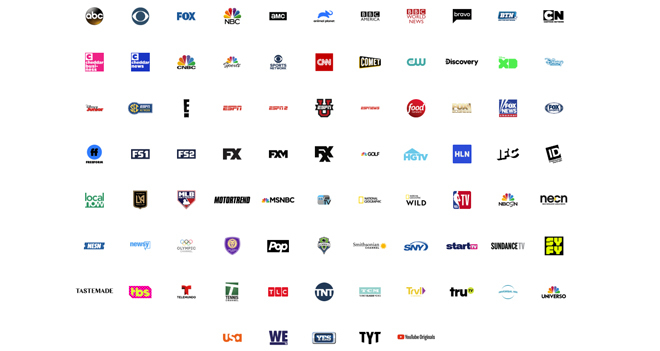 The service offers access to more than 70 live streaming channels, regional sports networks, and cable stations, including ABC, CBS, FOX, NBC, The CW, ESPN, Fox News, MSNBC, USA, Syfy, FX, Disney Channel, Sprout, E!, Bravo, TNT, Adult Swim, TBS, CNN, Cartoon Network, truTV, Turner Classic Movies, and more. Recently added channels include Discovery Channel, HGTV, Food Network, TLC, Investigation Discovery, Animal Planet, Travel Channel, and MotorTrend. In addition, the platform will be adding the OWN: Oprah Winfrey Network later this year. Likewise, customers can opt to add premium networks like Showtime, Starz, and EPIX for an additional fee. YouTube TV offers support for 3 concurrent streams and 6 accounts per household with unique recommendations and unlimited cloud DVR storage. The app is currently available on computers, Apple TV (4th generation), Apple TV 4K, Roku products, Android and iOS mobile devices, Google Chromecast, NVIDIA SHIELD, Xbox One, Xbox One S, Xbox One X, and select smart TV models from Sony, LG, Samsung, VIZIO, Hisense, and Sharp.